Build Apps With Our Experts. We Make It a Breeze For You. 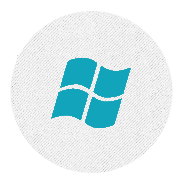 We are on the scene since Microsoft rolled out the most recent version of the Windows OS series, Windows 8. Our years of experience and expertise in mobile app development coupled with the immense knowledge of Microsoft technologies enable us to build cutting-edge apps for Windows 8 devices, from tablets, Smartphones to notebooks and computers. The platform embraces a myriad of exciting and unique features that empower developers to create highly productive business apps. Copyright © 2013 - 2018 ALIF IT SOLUTIONS PRIVATE LIMITED. All Right reserved. ALIF IT SOLUTIONS PRIVATE LIMITED. All Right reserved.